What Makes Gift Cards from Macy's, Target, and Home Depot, the Best? What makes a retail gift card "best?" For the recipients of gift cards from stores like Macy's, GameStop, Walmart, Old Navy, and eBay, it's the gift card rules, fees, and fine print policies which make gift card redemption "happy" or "hassle." View this slideshow to find the five best retail gift cards which have rules that both gift card givers and gift card users can love. After you've seen which gift cards are the best to give and receive, click to see the Worst Retail Gift Cards that you'll want to avoid! The best rule of the Macy's Gift Card is one which makes truly unique, truly special, and truly user-friendly. That is Macy's gift cards can be returned! In the no-refunds, no-replacements, no-cash-value world of gift cards, a return policy is rare indeed, which gives the Macy's gift card the best of the best that givers and receivers can both love. There are three stipulations for gift card returns that users need to know. First, the gift card must be completely unused and you must present the purchase receipt. Second, You can't redeem any part of the gift card value before making the return. Third, the amount of the gift card is going to be returned to the gift card giver's credit card, if it was purchased originally with a credit card. If the gift card was purchased for cash and you have the receipt, you should be able to get the full cash value in your hand in exchange for the unused card. This Macy's return policy is a substantially better option than a gift card resale service, which will only pay a portion of the value in exchange for the card. 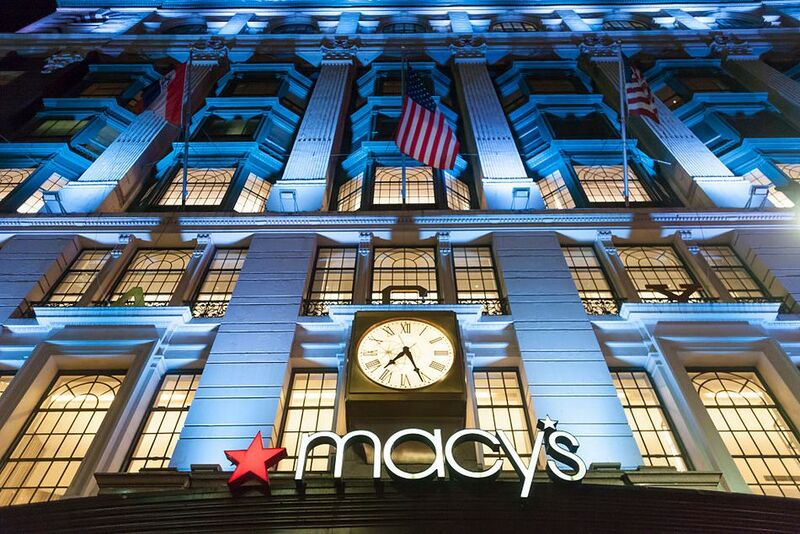 Macy's gets no extra benefit from this policy, so gift givers and receivers can be grateful for the authentic customer-friendly generosity of this Macy's gift card refund rule. Macy's Gift Card Cash Equivalent: You will only receive cash back for a completely unused gift card that was purchased with cash and if you have the receipt for it. Macy's Gift Card Rules For Replacement: Macy's replaces gift cards with the amount on their records of the value and the proof of purchase receipt. Macy's Gift Card Expiration: The Macy's gift card never expires. Rules About Fees for Macy's Gift Cards: The Macy's gift card does not have a fee. Macy's Gift Card Redemption Rules: The Macy's gift card can be used online and in the store, but they are reloadable in the store only. E-Gift Cards can be redeemed in brick-and-mortar stores by printing the e-gift card barcode and presenting it at checkout. Customer Support for Macy's Gift Cards: Lost or stolen cards will only be replaced with proof of purchase and only for the value shown on Macy's records. Okay, Target has a gift card return policy like Macy's. And Target also has the biggest Target-branded gift card selection as well. And Target has a completely mobile gift card option. So, Target should be #1 on the list as the best of the best retail gift cards, right? That would be the case if it weren't for some gift card options have rules attached to them that are not so user-friendly. So an individual Target gift card offer might be the absolute best, but when taken as a whole, not all the rules are "on target." Target Gift Card Options: Options include traditional Target plastic gift cards, e-gift cards, mobile gift cards, Target co-branded Visa®, MasterCard®, or American Express® gift cards, ​and traditional plastic gift cards sold in bulk for corporate programs. Mobile gift cards can be both purchased and received via a mobile device. Target Store Gift Card Lost or Stolen Cards: With proof of purchase, a lost or stolen Target co-branded Visa®, MasterCard®, or American Express® gift card will be replaced with a new card for the balance that's left on the original card. Target Gift Card Return Policy: Target gift cards can be returned with the sales receipt if the gift card is completely unused. Target American Express® gift cards can be returned on the day they are purchased with the receipt and the unused card, or later by calling the phone number on the back of the card. Target co-branded Visa® and MasterCard® gift cards can be returned within 90 days if they are in brand new condition, completely unused and unopened in their original packaging, accompanied by the original purchase receipt. Target Store Gift Card Expiration Date: None of the Target gift cards have expiration dates. Target co-branded Visa®, MasterCard®, or American Express® do have an expiration date, but it should be able to be extended by making a phone call. Target Store Gift Card Fees: There is no fee to purchase any type of Target gift card. There is a one-time fee to purchase Target co-branded Visa®, MasterCard®, or American Express® gift cards. Target Gift Card Customer Support: No online customer service support is available for the Target co-branded Visa®, MasterCard®, or American Express® gift cards. gift cards. Special Rules for Target co-branded Visa®, MasterCard®, or American Express® gift cards: These gift cards can be used any place same as a debit card except ATM's or casinos, or pay-at-the-pump gas purchases. These co-branded cards are also not reloadable, Only five of these Target co-branded gift cards can be purchased at any one time, and the gift card denominations are fixed. Rules About Replacing Damaged or Defective Gift Cards: With an original receipt or gift card number, your local target store should be able to replace your remaining balance with a new gift card. The best thing about GameStop gift cards is the customer-friendly replacement policy. It's not uncommon for the issuers of gift cards to have a "no-replacements-no-matter-what" policy if your gift card is lost or stolen. GameStop's replacement policy, by contrast, is quite user-friendly, helpful, and downright compassionate. GameStop has also set up the infrastructure which allows digital e-gift certificates to be used either online or in stores, which allows GameStop gift card receivers to get what they what, where they want. Gamestop's Customer-Friendly, Helpful, Downright Compassionate Gift Card Replacement Rules: Gift card will be replaced if it is lost or stolen if you have the original sales receipt or a receipt from a transaction in which the gift card was used for payment. You can also present a print out of the order confirmation from an Internet transaction using the gift card as proof of purchase. Expiration Rules for Gamestop Gift Cards: GameStop Gift Cards have no expiration date. "They will be valid until the end of time or until money becomes obsolete - whichever happens first." Delivery of Gamestop Gift Cards: Physical gift cards purchased on GameStop.com will be mailed via First Class U.S. Mail and can include a gift message. Digital e-gift certificates purchased on GameStop.com will be delivered immediately via email. Gamestop Gift Card Redemption Rules: Digital e-gift cards purchase on the GameStop.com website can be used for purchases either online or in physical US GameStop stores. The best thing about giving and receiving Home Depot gift cards is the technical integration that makes redemption hassle-free. Digital e-gift cards that are purchased online will be sent to the recipient via email. Home Depot gift card recipients can then either print out their eGift card, add it to their Apple Passbook, or save it to their Google Wallet. So that means Home Depot gift cards are mobile-friendly, which is a cutting-edge benefit, compared to other gifts cards available from the largest U.S. retail chains. One not so "best" rule of the Home Depot Gift Card is the one which says there will be absolutely no replacement or refund issued if the gift card was purchased for cash. There will also be no replacement of a lost or stolen gift card without a receipt if it was originally purchased by credit card. Unfortunately, this no-replacement policy is the norm for most retail gift cards and likely retailers will hide behind "fraud prevention" as the excuse until empowered consumers rebel or until some gift card disruptor creates a whole new card gifting paradigm. There's probably a project on Kickstarter for that already. Home Depot Gift Card Lost or Stolen Cards: Lost or stolen Home Depot gift cards that were purchased for cash will not be replaced and the remaining balance will not be refunded or replaced in any way. Gift cards purchased with a credit card will be replaced with proof of purchase. Home Depot Gift Card Expiration Date: Home Depot gift cards have no expiration date. Home Depot Gift Card Fees: There are no fees associated with Home Depot gift cards. Reloading/Reusing Home Depot Gift Card: The card can be reloaded, but it has to be done at a physical Home Depot store. Home Depot Gift Card Expiration: Both plastic and eGift Cards have no expiration date, and no fees or surcharges, no matter how long it is between when the card is received and when it is used. The best thing about Best Buy gift cards is that they are nothing special. There's no bonuses, add-ons, bells, whistles, or extraordinary features. But in the absence of the extraordinary, there is a nothing-special Best Buy gift card with nothing hidden, nothing user-unfriendly, and nothing to worry about. Okay, the rule about the number of gift cards that you can redeem in a single transaction might be a hassle if you intend to buy the largest TV known to mankind and pay for it completely with gift cards. But we'll give Best Buy a "by" on this one because usage rules help prevent the gift card fraud run amok in the U.S.
Cash Equivalent: Best Buy stores gift cards are not redeemable for cash, except where prohibited by law. Lost or Stolen Cards: Lost, stolen, or damaged Best Buy gift cards with a balance will be replaced with a valid proof of purchase. Expiration Date: There is no expiration date for Best Buy gift cards. Fees: There are no fees associated with Best Buy stores gift cards.